Honey, the main ingredient in mead, has become a popular addition for many beer brewers. Brewing with honey provides a rich array of aromas and flavors that add complexity and character to your beer. This week we’ll take a look at some of the ways to incorporate honey into your home brewed beer. I started brewing with honey some 24 years ago, in one of my very first batches of beer. To be fair, my knowledge level was low at that time, so I dumped the honey directly into the boil, then rapidly fermented and bottled it. This caused significant problems, as boiling the honey effectively boiled off much of the flavor and aroma, and the honey was not fully fermented resulting in significant instability and gushing bottles. Honey is a very complex ingredient. It contains a range of sugars, many simple and some complex as well as a chicken soup of living organisms including yeast, enzymes, and bacteria. It also has a very rich flavor profile with exotic, but fragile aromas. Unfortunately, boiling honey effectively boils off the delicate aromas and also deactivates many of the enzymes needed to break down and ferment the honey. Approximately 90-95% of the sugars in honey are fermentable. If possible, mix the honey with water to dilute it to approximately the same gravity as the wort you are planning to add it to. Heat the honey to approximately 176 F (80 C) and hold it for 60-90 minutes. Ideally you would like to keep the honey under a CO2 blanket if you have a CO2 tank, but if not at least cover the pot. Allow additional time to ferment before bottling. Honey takes a notoriously long time to fully ferment. At a minimum I would allow 3-8 weeks more for full fermentation, though many meads are fermented for a year or more. Another option is to simply add it in the fermenter after the boil. Though honey is high in sugar, it has many antibiotic properties that help preserve it for long periods without storing, so many beer and mead brewers use it directly without pasteurizing it first. The variety of honey to use depends on your desired flavor profile. Often the types used with mead are best, depending on the style of beer you are brewing and desired character. The percentage of honey to use should be between approximately 2-10%. Adding too much honey will not only increase the needed fermentation time, but also give the beer a decidedly mead-like character. Personally I recommend somewhere between 5-10% to give the beer a notable honey flavor and aroma without being overbearing. I hope you enjoyed this week’s article from the BeerSmith Home Brewing Blog. Have a great brewing week and don’t hesitate to subscribe for regular deliver. I don’t have enough time to brew honey beer before the weekend but I’ll definitely pick some up at Whole Foods tomorrow afternoon. given the correct level of nutrients and nitrogen you can complete a primary fermentation of mead in as little as 3 weeks. i would recommend adding low levels of nutrients in stages every few days during the primary fermentation as well as keeping the wort properly aerated before going to the secondary fermenter. after that another week or so extra on the secondary should do the trick. taking frequent hydrometer readings also helps. I have not brewed a braggot yet, but I am looking forward to it. Mead with hops sounds… interesting. Im new to home brewing and so far I belive its gonna be a really fun hobbie. I was curious on which kind of beer would be best to make with honey???? Probably the easiest to make is “honey ale” which would be any good ale base recipe with a pound or so of honey in it. Keep in mind the honey does not add a huge amount of sweetness though. I’ve brewed with honey many times and had my beers come out perfect every time. I’ve had experience with brewing honey kolshes twice now and have seen that adding at 10 min left in the boil seems to preserve a majority of the floral, ‘meadowy’ (as i like to call it) smells and tastes associated with the honey, as far as the long fermentation, i do believe that conditioning for longer periods before bottling is essential. good post, will definitely try this technique to see what happens. A friend of mine brewed a batch of honey wheat ale and it has been my favorite hands down. I liked the slightly sweet (but not cloying) taste. I find that it is unnecessary to heat honey to get rid of any nasty bacteria. One simple reason. 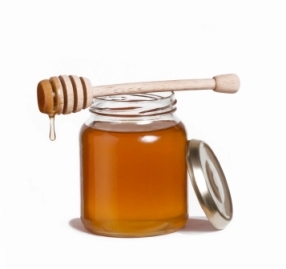 Honey has antibiotic properties within it. You can store honey indefinitely. It is the only “food” which will not spoil (as long as it’s stored in a sealed container). Heating honey over 37 deg Centigrade or 98 deg Fahrenheit (body temperature) will start to degrade the honey and rob it of it’s antibacterial properties as well as the aromas and flavors. You should heat it enough just to make it easier to work with. I’ve used honey for mead as well as beer and have never had the need to heat the honey beyond what was stated and never had any bad experiences in the process. Quick question… Recommended 2%-10% of what? When I first read this, due to the fact that we are adding during fermentation, I took it as volume, so I added 2Cups diluted with 1Cup of water at high kraeusen. I added another 2Cups diluted with 1Cup of water two weeks later when I moved it to secondary (5 gallon batch). I would recommend 2-10% of the overall grain bill by weight. Is it possible to simply add a bit of honey to the secondary? Attempting a Cream Ale, well a Honey Ceam Ale. Also I’m kegging, not bottling. You can add honey to the secondary, but the method outlined here (essentially pasteurizing it) is less prone to infection. I have added 1 cup of honey into a 23 litre brew at the start of fermentation. Fermentation at 25C was about one day longer than usual. Then put 1 ml if 50% honey and water into the 750ml bottles, in addition to the usual pre charge. Excellent mild taste and very good head retention. However you have to be careful pouring it. I used 1/2 lb of honey microaved in 8 oz of apple juice for 2 min. and poured right into the scondary of a rye beer I make. Evened out the rye flavor and taste but needs 6-8 weeks in the secondary to fully attenuate the sugars, or seven days in your car trunk in the sun in August! Then it tastes like Guiness light! A lot of the information in this article is either outdated or have proven to be false. Honey is naturally antiseptic & antibacterial. The sterilizing of honey is unnecessary and highly detrimental to the aromatic compounds and volatile oils. If any concerns should rise, adding the honey right before flameout takes care of any cleanliness concerns. As far as adding honey to a beer and the length of fermentation has a lot to do with the quantity of the honey, and not so much as the simple addition. When using anywhere from 5-10% of the grain bill, there really isn’t enough added sugars to give cause for a longer fermentation time. If it was closer to the 40-50% range, then definitely the fermentation will take longer….. but a 5-10% addition won’t warrant extended fermentation. Honey is highly fermentable (like sugar) though it takes a long time to ferment. It does not add a dramatic flavor (it is subtle) so you will need other ingredients to provide body if that is what you are shooting for. Interesting RHATSKY. So instead of using municipal water, I should follow your KISS principle and obtain a bulb from my hairdresser, then use a nitrile sheet in some fashion to irradiate some turbid creek water from the nearby petting zoo? How much honey do you use to cover the taste of the e.coli? I would guess it needs to be at least 20%. Suggestions? So I added 8 oz of honey undiluted to my secondary and stirred it in gently with my paddle. I didn’t take a SG reading beforehand as I used a TON of whole leaf hops which made it difficult to attempt such a thing with my equipment. How much did this raise my SG? I had no idea that it would take weeks for this to ferment and only let it go for one week. The air lock was bubbling once every 1-1.5 minutes. I was going to rack today, but after transferring to my racking bucket along with my priming sugar I found the SG was much higher than I expected – 1.030 when it should have been no higher than 1.020. I put the lid on with the air lock but it hasn’t bubbled once in the past two hours. In hind site, I would have just put in back in the carboy with the hops and yeast, etc, but it was already being cleaned by the time I realized the problem. Brewing the White House Honey Porter tomorrow according to WH instructions which say to add the honey at beginning of the boil. What happens to fermentability, taste, aroma if you add early, say at 60 minutes? I noticed the WH Honey Ale says to add the honey 5 min before end of boil. Wonder why the difference and how this changes things? So I just brewed my batch. Ever. In a 23 litre batch I added the honey once I topped the bucket upto the 23 litre point before adding the yeast gave it a good old mix up then sprinkled the yeast on top another mix and now it’s sat in my boiler cupboard. My question is what on earth do you guys do to make the time pass? It seems strange to see so many posts here saying not to boil the honey when almost all Mead recipes call for you to boil the honey until the impurities and “junk” rise to the top with the foam and skim it before fermenting so you get a clear mead… oddly enough, the mead doesn’t lose the honey flavor…. Maybe this is only when using “Raw” untreated honey? I get raw honey locally in 8lb cans for mead making and I always boil it per every recipe i’ve ever seen. I make bragott every now and then. I make the beer as normal ( lager) then ferment and at high krausen I put the honey in at a ratio of 1:1 where I prepare the honey as 5 parts sterile water at 60*C to 1 part blossom honey also at 60*C then cooled down to room temp. The honey with water makes it easier to blend with the beer. Always worked for me. Sorry paradox, what you’ve said is both right and wrong. it depends on the honey. Some honey speci tend to be very dry, certain pre blend clovers come to mind, whilst others tend to retain more water. Still others form gels ( manuka). The third, is how much uncapped nectar did the bee keeper take with the honey. All of these factors change the anti microbial action of the honey, but it’s also relatively easy to work out how a given honey should be treated. A nice firm dry honey, I would have no problem adding at any stage, with well cleaned instruments. It may be worth warming the honey slightly however to make it easier to move from it’s storage container. These can be nearly the texture on your blade of a young soap! On the other extreme, a very runny honey, like those shown in ads for those ridiculous “honey bears” either has a lot of nectar in it, or has been adulterated with syrup. It is not wise to trust this as is, and pasteurizing it would be a sensible safeguard. I have enjoyed reading all the comments on honey and its sources. Thank you for sharing and keeping it intelligent and updated. I am a traditionalist but pay attention to new studies. It may have worked then but lets learn not to overwork. I’m glad there are many ways to do the same thing. Oh my goodness! Amazing article dude! Thank you, However I am encountering problems with your RSS. similar RSS issues? Anybody who knows the solution can you kindly respond? I want to use Honey as a priming sugar for bottling and not so much as an ingredient in my brew. Is this possible and if so what or how can I go about doing this without causing gushing bottles when I finally go to opening up a bottle to try it? 2 – 10% honey by volume or weight? Fermentation Times When Brewing With Honey?